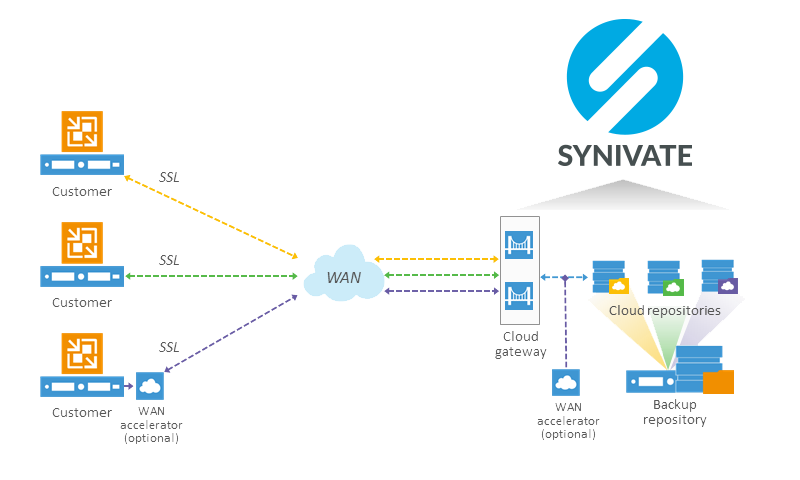 Veeam Cloud Connect – Synivate, Inc.
Veeam is an industry leader in virtual backup and disaster recovery solutions. Veeam software provides the flexibility to design custom backup and disaster recovery solutions based on your budget requirements. Veeam Cloud Connect Backup allows existing and new users of Veeam Backup and Replication to securely backup and restore your infrastructure to the cloud. With Veeam Cloud Connect there is no need to invest in an expensive DR site for backup copies or maintain complicated tape backups. 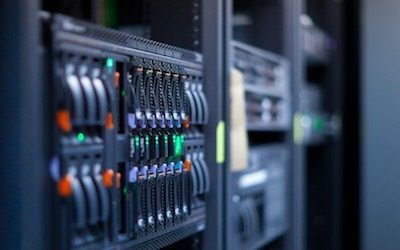 The #1 rule for a successful disaster recovery plan is to maintain three copies of data at any given time. The first copy is stored on production storage, this is typically an enterprise grade storage device (SAN) or local storage on your virtual host. The second copy is a local backup, this runs through Veeam Backup & Replication and stores the initial backup to a local backup server or de-duplicating storage appliance. Finally, the third copy of data is transferred to our secure data centers (see below diagram). Did you know that over 50,000 companies in the last 12 months have ditched their legacy backup software for something fundamentally different? Veeam enables Disaster Recovery-as-a-Service (DRaaS) as part of a comprehensive availability strategy, embracing virtualization and storage investments in your infrastructure and extending them through our secure data centers. Affordable and efficient image-based VM replication delivers true cloud-based disaster recovery for ALL applications (RTPOs < 15 minutes) with dedicated support through the entire process! Get the most out of DRaaS with Veeam Cloud Connect VM replication, providing fully integrated, fast and secure cloud-based DR (disaster recovery). We integrate and support IT solutions to address the complex needs of your business in a convenient, all-in-one service. We have helped hundreds of clients to evaluate and resolve their technology needs. Let us help you do the same!